" FrieslandCampina and Red Cross extremely satisfied "
FrieslandCampina has arranged for all its written-off ICT equipment to be removed by the ITdonations Foundation. This has taken place to the company’s full satisfaction, and the result is commendable: €59,652.15. This sum was donated to the Dutch Red Cross. 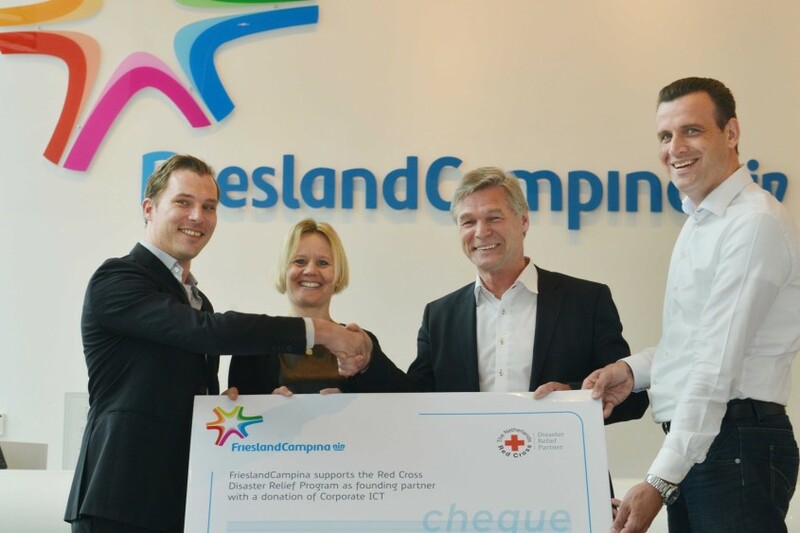 FrieslandCampina is a Founding Partner of the Netherlands Red Cross. ITdonations provides for the removal of FrieslandCampina’s end-of-life ICT equipment world‑wide. The data is deleted in a 100% secure manner and a professional final report is presented.